Give your dog a KONG Yarnimals as the perfect cuddle and playtime companion! Designed with reinforced yarn for extra soft plushness, the Yarnimals are a unique bunch of cuddly and squeaky dog toys that your pet will enjoy! Each Yarninimal has a squeaker inside them to keep your dog interested in the toy for longer and help combat boredom while your pet is indoors. 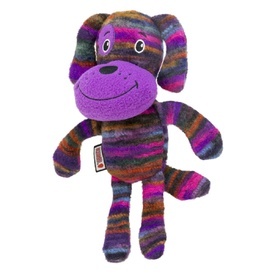 The non-stuffed, floppy limbs shake all around to capture your dog’s attention and keep them engaged in playtime fun. 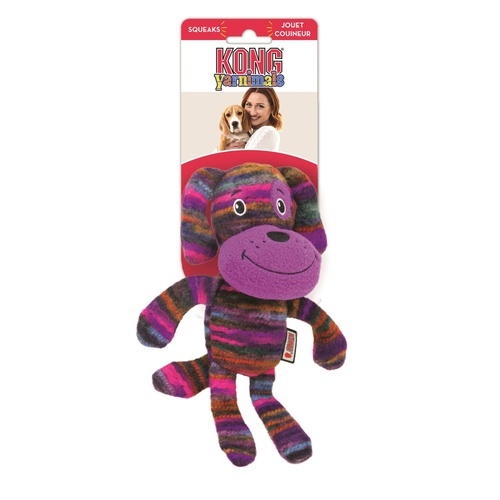 Make the KONG Yarnimals a part of your dog’s toy collection for squeaky, plush fun all day long!